It's easy to think that Lola Savage is Tiwa Savage's sister or relative, think again! The fast-rising star self-proclaimed ChiGerian (Chicago Nigerian native) has been an unmissable act since her debut ‘Iwo Ni Mofe’ in July 2013. Never been formally introduced to this blog - Lola Savage is a fresh face and sound to the Afrobeats scene and has proven with her music why she shouldn't be slept on. Lola's new single ‘Dem Say’ released a few months back, is mixture of Yoruba and Pidgen English where she sings over the Medalz production. Directed by Brian Beckwith and shot in the States, the video shows off Lola Savage's beauty, her snatched body and of course swag in the 4-minute fun loving clip. 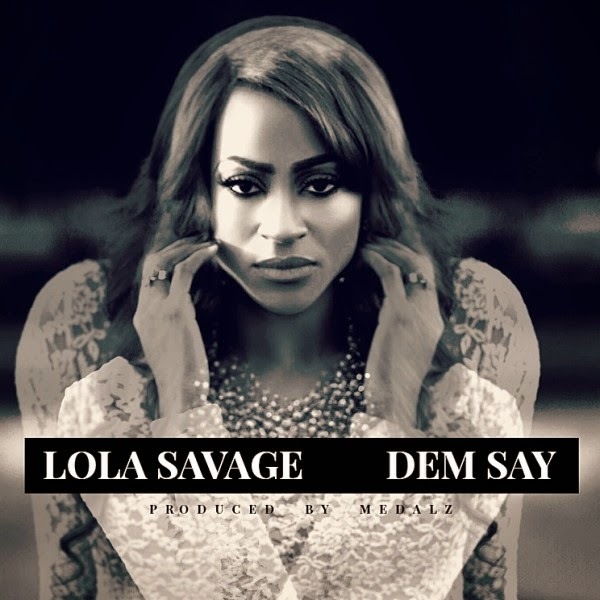 Check out the new video to Lola Savage's club banger ‘Dem Say’ below.